Water pressure booster pumpsets offer pressure boosting solutions for domestic mains water and tank... See more below. Filters are a critical partner of the pumping system and are typically tailored to suit the system... See more below. With a large inventory of pumps, hoses and fittings, downtime caused by closed building sites due to... See more below. Water pressure booster pumpsets offer pressure boosting solutions for domestic mains water and tank water supply systems. 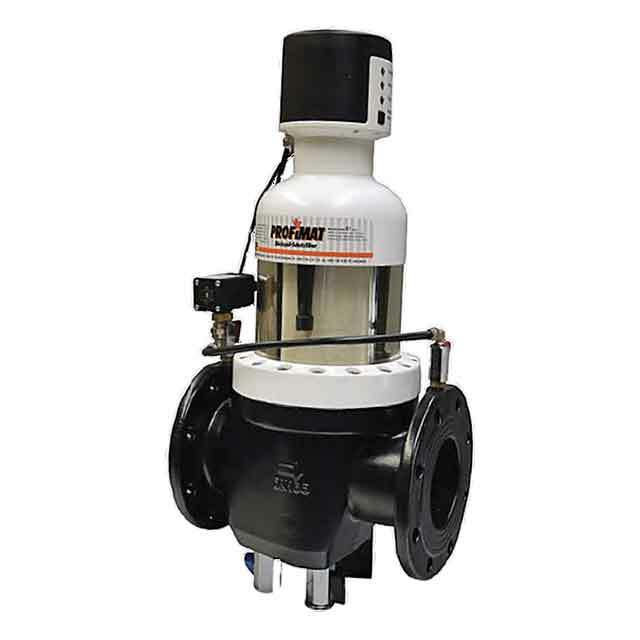 Where increased water pressure is needed, pressure booster systems are an effective solution to transfer water at a required pressure where you need it. From a mains water pressure booster on an inner city apartment block to a pump boosting pressure system on an irrigation sprinkler, the application of these systems are many & varied. BlueSelect pressure boosting pumpsets are purpose-built to precise customer specifications, based on a range of reliable pumps and drives. Whether it be single, dual, triplex, quadruplex – fixed speed or variable speed drive (VSD), Southern Pumping Specialists offers with confidence a wide range of solutions to accommodate all pressure boosting requirements. Circulator pumps are used to circulate fluid in closed circuit systems and are typically used in hydronic heating or cooling systems. The BlueSelect Dual Circulator Sets are manufactured in accordance with specifications and can be tailored to a versatile range of requirements. 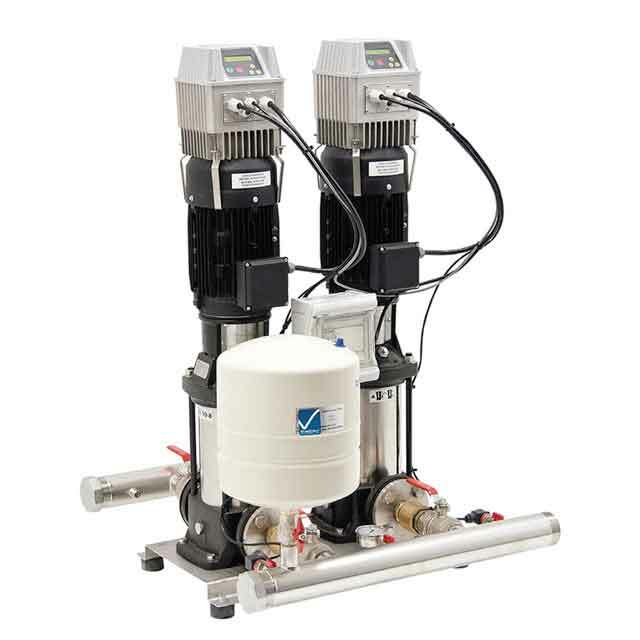 These pre-assembled system are fitted with two circulator pumps, interconnecting stainless steel manifolds, all necessary valves and fittings and mounted on a frame with the control panel which has the changeover timer included. 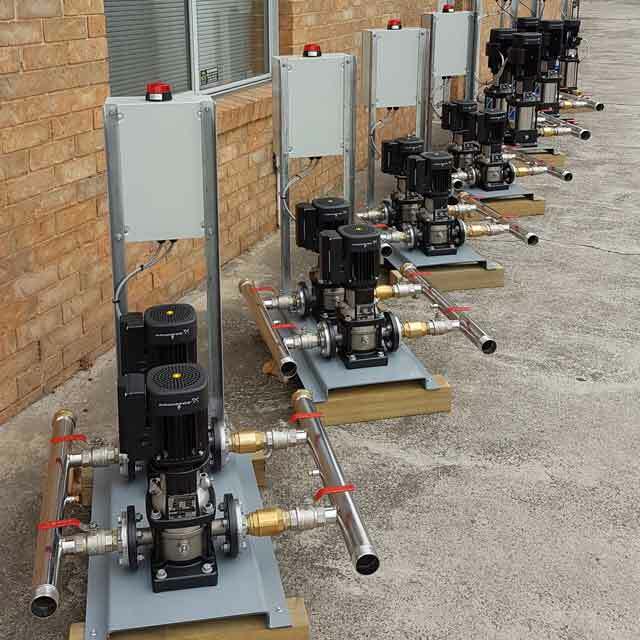 Southern Pumping Specialists is ready to analyse your specifications and offer a suitable Dual Circulator Set that will accommodate your budget and will enable a simple and lasting installation. Fire hydrant pump systems are high pressure water pumps designed to increase the fire fighting capacity of a building by boosting the pressure in the hydrant service when mains is not enough, or when tank fed. 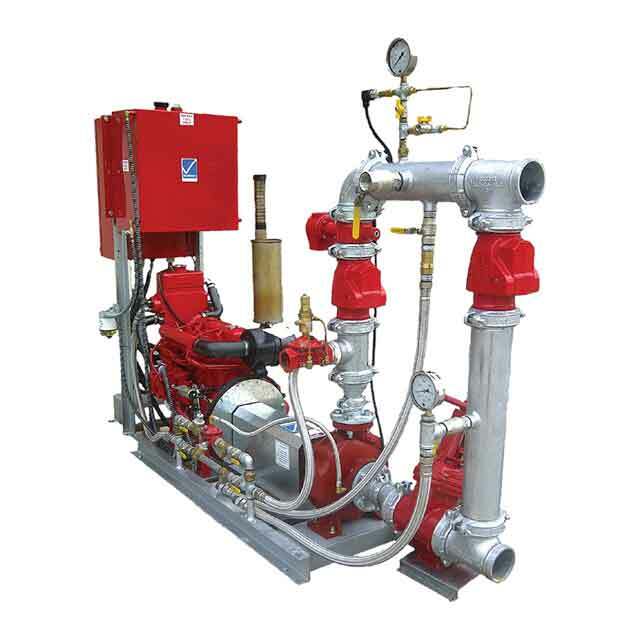 Fire Booster Pumpsets are available in diesel and electric drive configurations, assembled on a common fabricated base with pipework manifolds, valves, controls and accessories to provide a fully automated system complying with AS2941 and tailored to specific site requirements & specifications. Systems are engineered and fabricated in strict adherence to the relevant fire codes. Support services are provided from initial engineering assistance through to on-site commissioning and after sales service. The BlueSelect range of systems are custom built fire service pumpsets to suit a variety of applications and are available with diesel or electric drive options, developed for the increasing demand in fully standard compliant specialised turn-key systems. Built from high quality, reliable and proven components, these packages greatly simplify the installation of fire protection systems. Fire hosereel systems are also available as a completely separate unit, or they can be included as the pressure maintenance pump on the hydrant. 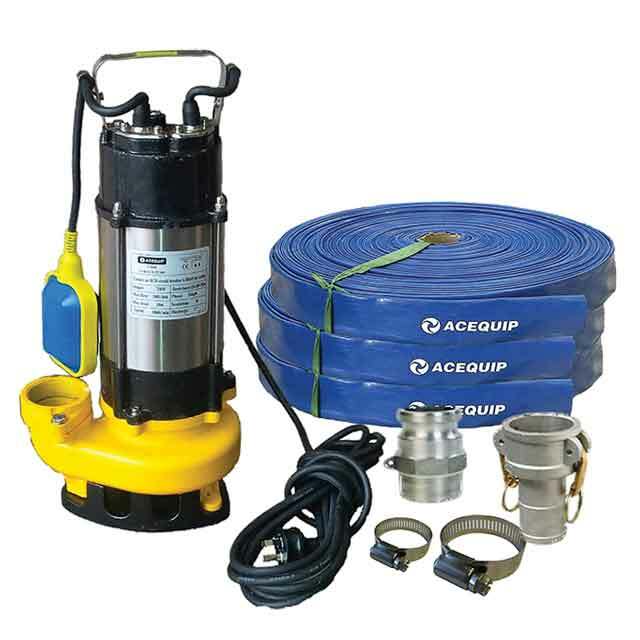 As part of Southern Pumping Specialists dynamic approach to the building services sector, extensive experience has been accumulated in the supply of Fire Hydrant Booster pumps. BlueSelect Inground Pumping Stations manufactured by Southern Pumping Specialists are available in various configurations and can be ready for install in minimal time. 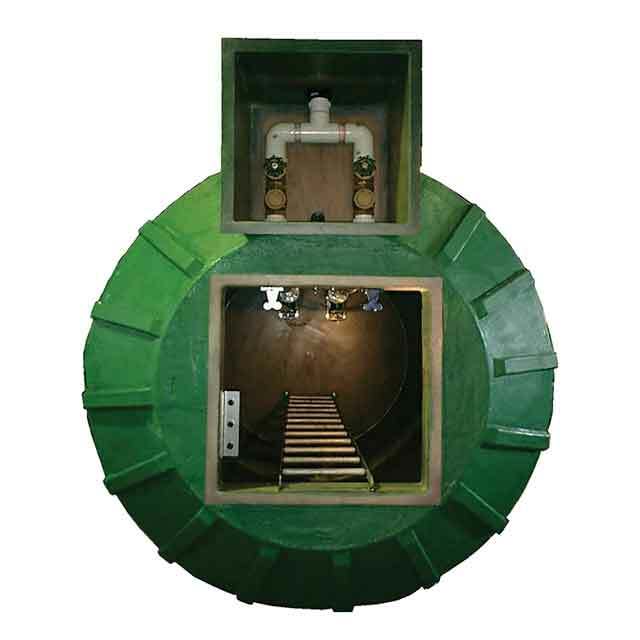 Typically used for either sewage or storm water, the holding well or pits are poly, fiberglass or concrete and are fitted with the relevant pumps along with all intank plumbing, valves, controls and hardware and are assembled with professionalism that only comes from experience. Systems are tailored to individual applications and duties using a variety of pumps and components to achieve the desired result at the desired budget. A complete package; designed, constructed and delivered by Southern Pumping Specialists provides peace of mind, ease of installation and an economical option for the building and plumbing trades. The many ever functional systems in service provide a sound endorsement to the quality, compatibility and longevity of these systems in so many differing applications. Filtration is increasingly becoming an integral part of any water or fluid system. With obligations for compliance with recycling regulations and water conservation coupled with the demand for clean fluids free from hazardous and noxious content, filtration has moved forward to a new level of efficiency and quality. Filters are a critical partner of the pumping system and are typically tailored to suit the system flow, pressure and demand. Hence Southern Pumping Specialists is heavily involved in the design and supply of filtration systems with a specific duty. 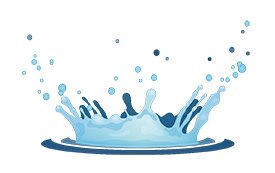 Whether your requirement is a simple domestic drinking water system for the removal of sediment, taste and odour or a commercial automatic backflush system including ultraviolet disinfection or perhaps a large volume filtration system with electronic monitoring for an industrial plant, Southern Pumping is experienced and confident to select and supply a system to suit your requirement, budget and expectations. Extensive stocks of filter housings, filter elements and accessories along with fabrication facilities means we are able to respond to your needs with haste minimising disruption and streamlining maintenance of your filtration system. Southern Pumping Specialists are suppliers of Oil Water Separators, also known as Coalescing Plate Separators. These are enhanced gravity systems, and are required in vehicle wash stations and mechanical workshops to remove oils and solids fromwater. In the oil water separators the oily water is pumped through an inlet chamber where solids settle out and oil immediately rises to the surface. An oil baffle prevents the now - separated oily water from entering the outlet weir. The waste water is then discharged to sewer, the solids are contained in the in-built hopper, and the waste oil is discharged to a drum underneath the unit. 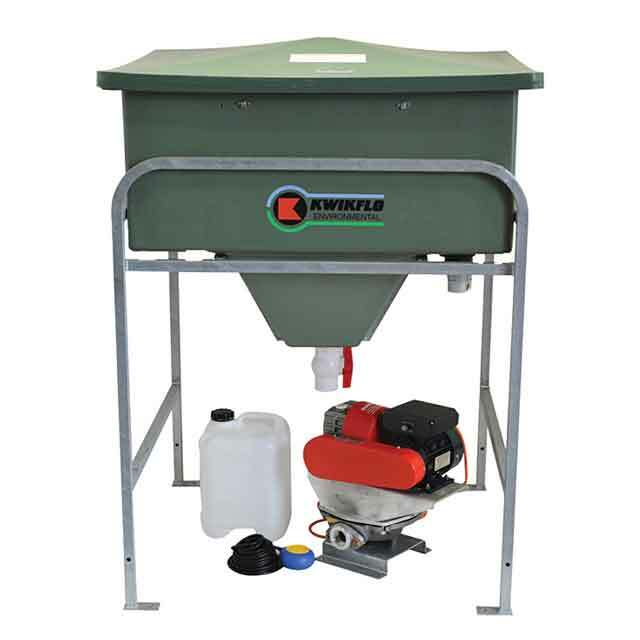 Our separators vary in size, typically treating between 1000 and 3000 litres per hour, however, larger flowrates are available. An electrically driven mechanical, or air operated diaphragm pump, is used to pump the inflow at a controlled flow rate matched to the separator. Southern Pumping Specialists have over 40 years experience in supplying, installing, servicing and maintaining such equipment. Southern Pumping Specialists are well positioned to respond swiftly to requirements for site dewatering equipment. With a large inventory of pumps, hoses and fittings, downtime caused by closed building sites due to heavy rains can be minimised simply and economically. 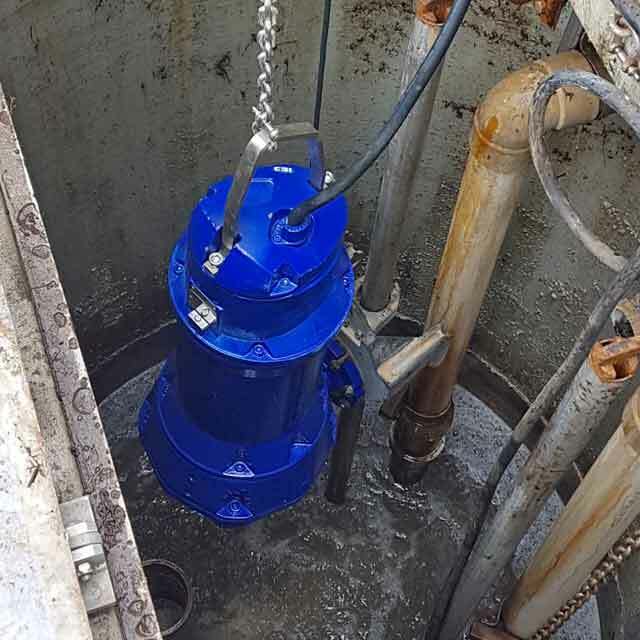 Southern Pumping Specialists are manufacturers of undersink pump stations to handle sink and basin waste where gravity fall to sewer is not achievable. 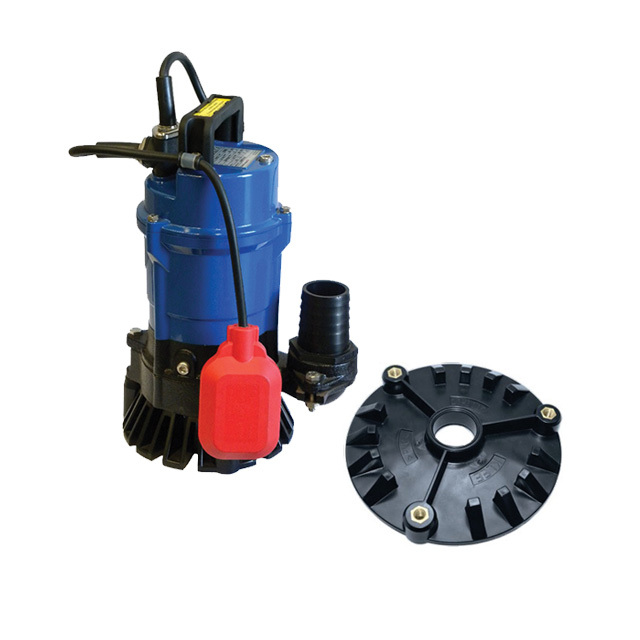 This automatic system incorporates a small electric submersible pump. 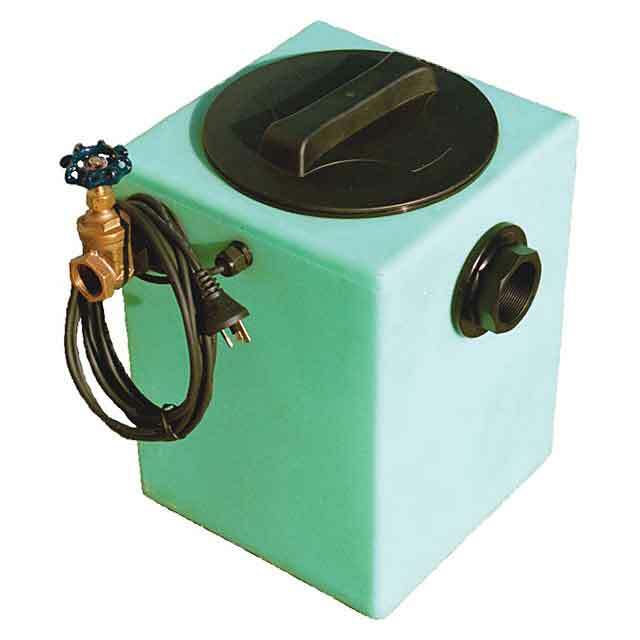 The chamber receives the sink or basin waste and, as the level in the chamber rises, so also does the float switch, activating the pump. The liquid is then discharged, lowering the level of the float switch and thus turning off the pump. Typical applications include, but are not limited to, Cafes, Bakeries, Laboratories, Granny Flats, Bar and Cellars, Site Sheds and Kitchens. Southern Pumping Specialists capabilities, reputation and knowledge has flourished due to its longevity on the East Coast of Australia, a region which has seen many years of growth in the building sector. 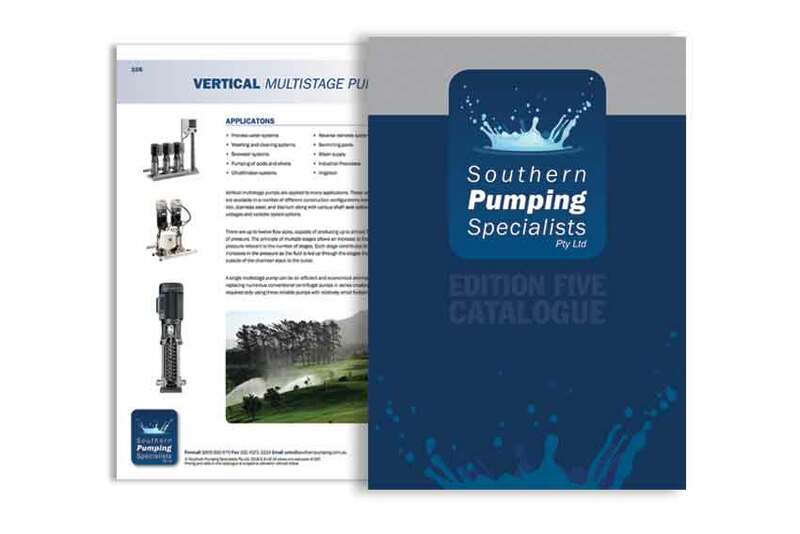 A broad and diverse offering of pumps and related equipment sees the Southern Pumping Specialist brand in almost any building sector including high rise apartments, shopping precincts, public works developments, water infrastructure...and the list goes on...as does the options of tailored pumps available. 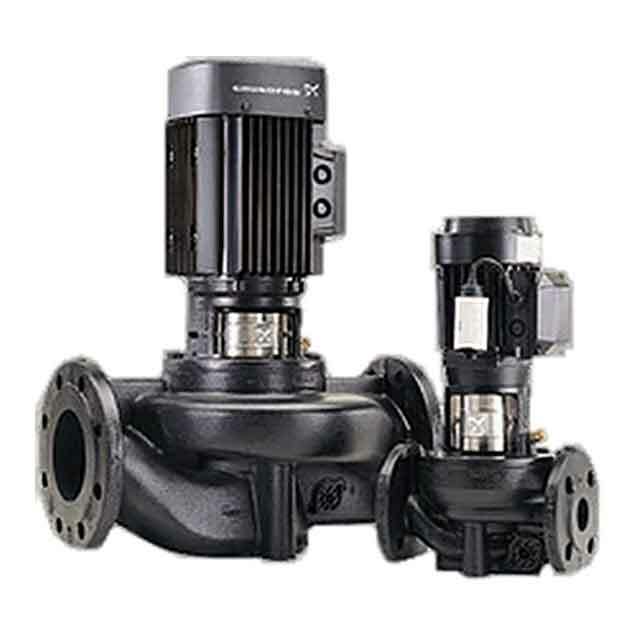 Pumps for the building industry are selected specific to their required duty and purpose. This is a specialised field and often no two pumps are the same. Consideration must be given to; required discharge head/pressure, suction conditions, fluid to be transferred, temperature of fluid, power available, availability of spares and ease of service and other site specific requirements. Southern Pumping Specialists undertakes exhaustive assessments to understand site requirements in order to provide precisely the right pump. Types of pump systems for the building industry offered by Southern Pumping Specialists with confidence include; Stormwater pump systems, Sewage pump systems, Pressure booster pumpsets, Hot water circulation pumpsets, Pollution control equipment, Fire services pumpsets, and Filtration. Southern Pumping Specialists commitment to the Building Sector is underpinned by a full suite of support including; full workshop facilities for pump repairs and fabrication, mobile onsite service units, pump hire options, pump system design and consulting, sales of almost any brand and a large inventory of spares and crucial components and related products for industrial pumps. Scheduled maintenance carried out by our qualified field technician to ensure your pump systems are in optimum condition. For peace of mind and protection of your assets. 240V, Automatic, 50 mm outlet, 10 m lead, low suction plate option, robust construction. Manufacture and maintenance of commercial pressure booster systems. Contact our Building Services Team for a competitive quotation.